Wind energy generation by the 80 megawatt Crowlands Windfarm is now live. 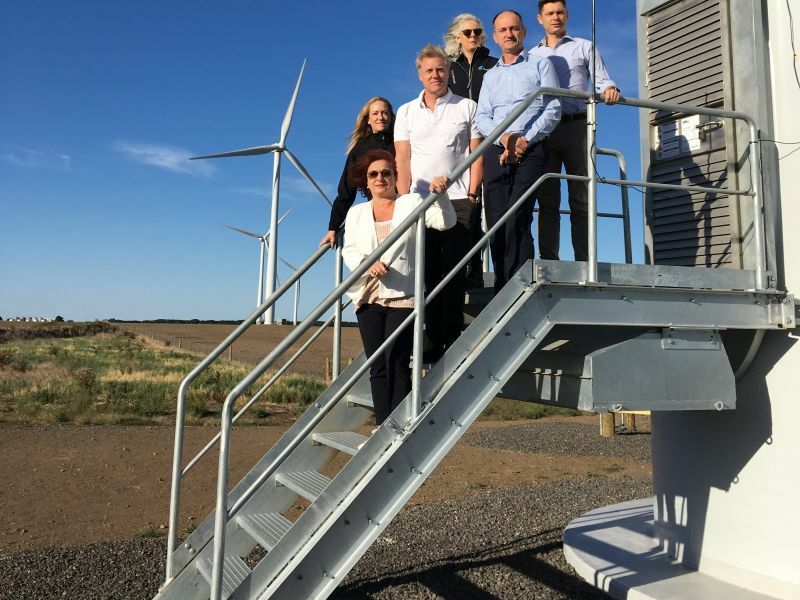 Fourteen members from leading universities, corporations, councils and cultural institutions have committed to the purchase of 88GWh of electricity each year from the Crowlands Windfarm near Ararat. This will provide enough energy on an annual basis to power 17,600 households assuming average consumption and avoids emissions equivalent to 96,800 tonnes of carbon. Power purchase agreements (PPAs) such as MREP, position the University to deliver its target of net zero emissions from electricity by 2021. These long-term agreements also provide security against the volatility of the long-term electricity market whilst supporting the regional economies. 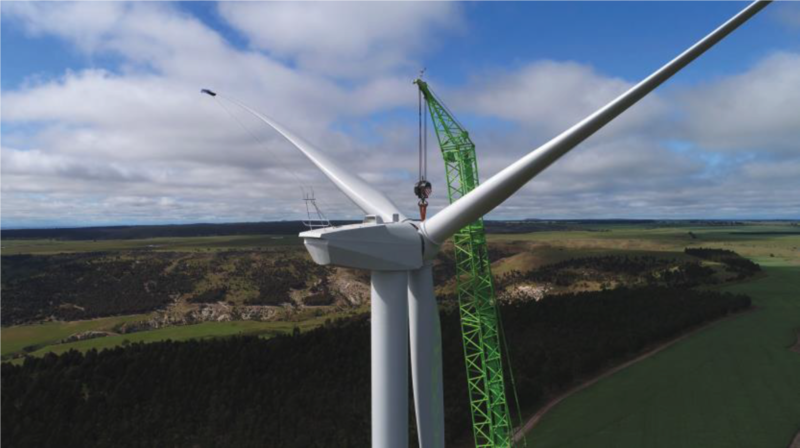 The Crowlands Windfarm has generated 140 regional jobs during construction. Partnerships such as MREP allow member organisations to access commercial-scale supply arrangements. MREP represents an innovative approach to increasing renewable energy capacity and demonstrates a viable model for cities, organisations and institutions globally to replicate. The University has released a Newsroom media article in relation to the Crowlands Windfarm commencing operations. Powerline established, concrete wind turbine foundations completed and forthcoming arrival of large turbine components. All 39 of the large concrete wind turbine foundations have been completed. By weight, this amounts to more than 35,000 tonnes of concrete which has been supplied from the on-site concrete batching plant. A new power line has been constructed connecting the northern section of the project to the electrical substation. The new line is located entirely within the wind farm development site. Electrical cables were installed in the last month with the support of a helicopter. 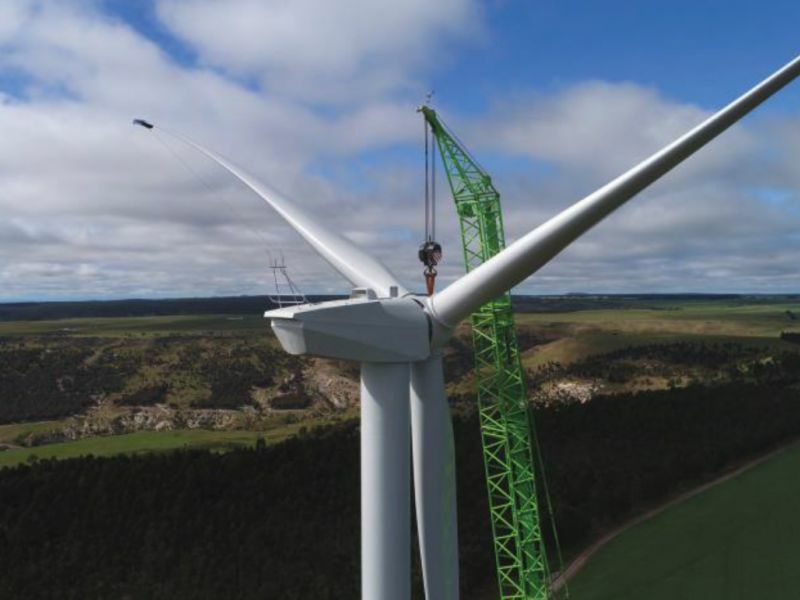 In the forthcoming weeks, deliveries of large turbine components will occur along the Pyrenees Highway and Ararat-St Arnaud Road. These movements will be aided by pilot vehicles. 15 turbines have been assembled successfully. Construction at Crowlands Wind Farm is ongoing, early works are now complete and wind turbines are currently being assembled on site. 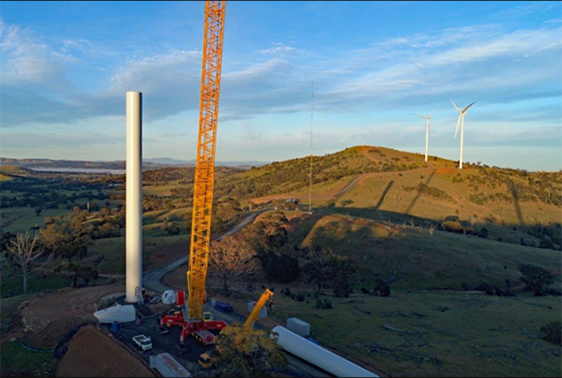 Construction commenced at Crowlands Wind Farm in March this year, and early works, including preparing the site for the installation of wind turbines, was completed shortly after. 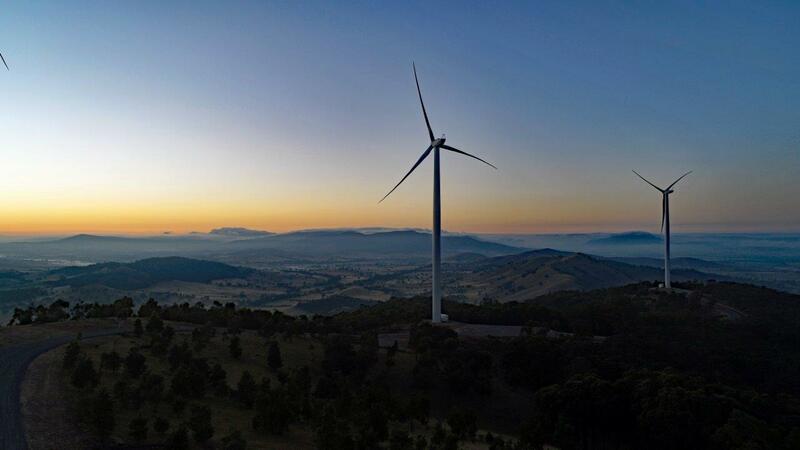 The project will now consist of 39 wind turbines that will produce the clean energy equivalent of around 50,000 Victorian households. The turbines are currently being assembled on the site by Pacific Hydro, the clean energy company that will own and operate the Wind Farm. A project outline and construction update has been made available by Pacific Hydro. 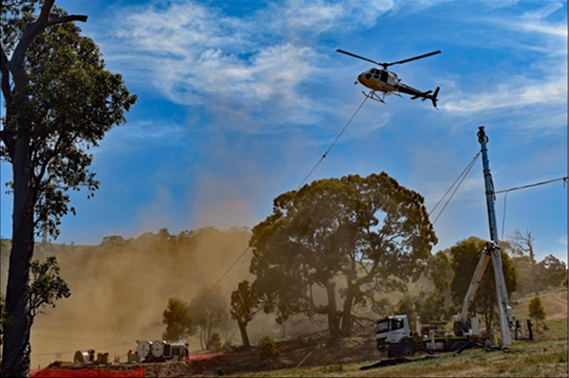 Construction has commenced on the Crowlands Wind Farm as part of the Melbourne Renewal Energy Project (MREP). 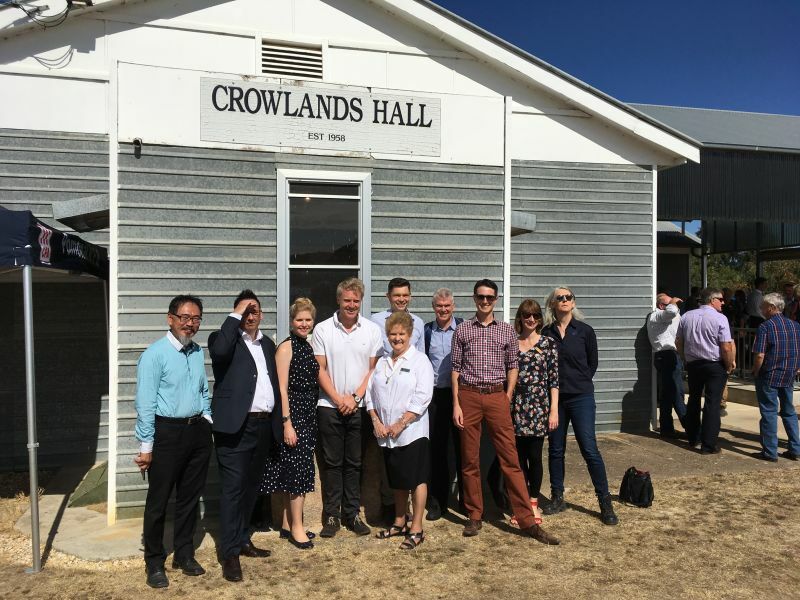 To celebrate the commencement of construction of the Crowlands Wind Farm, the Acting Lord Major (ALM) Arron Wood, along with the MREP team and Pacific Hydro Executive Team visited the Crowlands site for a plaque unveiling as well as community engagement activities. Check out the slideshow below for images of the Crowlands Wind Farm construction commencement celebration with ALM Arron Wood, the MREP team and the Pacific Hydro Executive Team. Melbourne Renewal Energy Project launched. Along with 13 leading universities, cultural institutions, corporations and councils, the University of Melbourne has committed to support this first-of-its-kind City of Melbourne initiative. Along with the City of Melbourne and our partners we will purchase 88 GWh of energy, and 37% of the wind farm's total output. This will not only increase the energy efficiency across our campuses, but also reduce our emissions, preventing more than 96,000 tonnes of greenhouse gas emissions from entering the atmosphere each year. That’s as much as taking more than 22,000 cars off the road!